← Paddy Bush – World Routes in Madagascar – Listen to programme 4! 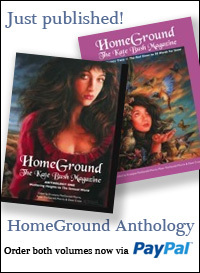 This year – 2012 – is the 30th anniversary of HomeGround magazine, the world’s longest published Kate Bush magazine and it will also see the long awaited publication of the Homeground Anthology book. To celebrate these two events we are going to organise a party as both a birthday and a book launch. It will almost certainly be on a Sunday late afternoon/evening in early June and at a Central London location. Please note that this will not be an official Kate event or convention, it’s a fan gathering to celebrate that we are still alive! 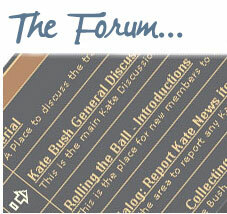 We can promise lots of like minded people and lots of Kate music, there may even be cake! We will sell tickets through the website and will try to keep the cost as low as possible and will confirm details ASAP. We are currently looking at venues and it would really help us to know a rough idea of how many people are interested, so please just leave a comment or send us a message. We would love to see as many of you as possible! 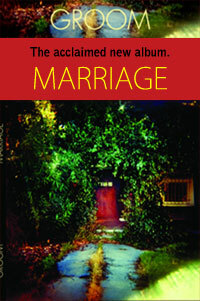 This entry was posted in Homeground, Homeground - The Book. Bookmark the permalink. 20 Responses to HomeGround 30th Birthday Party! I need to go. Is there any way to make it after June 14th? That’s when school lets out here stateside. If not, I’ll ninja my way over there somehow over the weekend. Keep us posted and I might need a recommendation of where to stay. Thanks! I wish I was going to be in London rather than down here on the other side of the world. I definately want to go but it will depend when its June its going to be. Its a pity its on a Sunday though as no doubt they’ll be on-going engineering works on the railways making travelling into London by train a total pain. I really wish I could be there. I hope that there is some way that the event could be broadcast on youtube!! Thank you HomeGround for 30 years of Kate info and music!! Great news! You know, my first thought was will Paddy, Kate and Del be there? And then I thought, no, just go to enjoy the company of fellow fans, meet new people, buy a book or two and celebrate what a great year 2011 was for us all. I shall definitely make the effort to go! I was too young to come to London for those Kate Bush Club conventions back in the day. It’d be great to be surrounded by a gang of Kate fans – I’ll be there. Absolutely. We would love to be part of a celebration! Will keep my eyes peeled for further info….cant wait! Thanks! I would love to be part of this event is it really 30 years! Wow, please give us plenty of notice so we can be sure to be there. Where have the 30 years gone? A brilliant idea. Hope to see you there. 30 years? Whoa! We were all so young… but congratulations to you all. hi any news about the homeground book -is there a publication date? Slight delay here due to broken leg, but essentially principal text/graphics of book are finished. Just completing a few extras the Publisger requested. We’re still hoping for publication later this year.